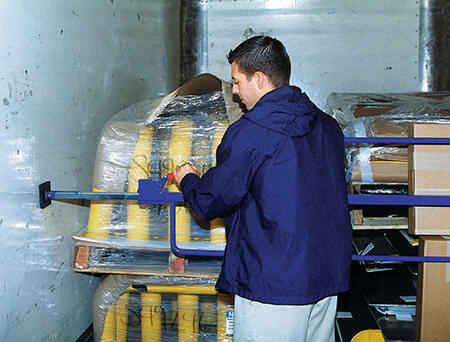 During transport, keep trailer contents securely in place with these easy to use Cargo Bars. Constructed of 1." square tubing, unless specified. 14 gauge wall construction is lightweight, yet extremely strong. 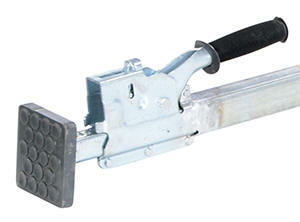 Square articulating steel end plates feature rubber pads for positive gripping action. 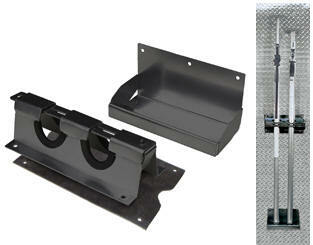 End plates measure 4" x 4" on models CL-15, CL-16, CL-17 & CL-20. End plates measure 4" x 2⅜" on model CB-5, CB-7 & CB-7-S and 3." x 3." on model CL-18 and CBH-32. End plates measure 2⅜" x 3" on model CB-PU-3. Bars fit between trailer walls.